Renata Sheyner from Fiserv says that to varying degrees, this transformation can extend to day-to-day financial processes, and one of the ripest areas for improvement is reconciliation. While there may be no silver bullet that solves every reconciliation challenge an organisation may face, automation comes close. Automating this time-consuming and error-prone process has the potential to boost the bottom line and reduce the risk of compliance deadline misses and mistakes. For organisations with millions of transactions, closing the books is no easy feat. Quarterly, half-year and annual financial reports — along with other forms required by regulatory agencies — keep the accounting team working to meet deadlines year-round. Financial statements face external scrutiny from regulatory agencies in every country in which the company operates. Additionally, there are shareholders, boards of directors and in-house audit and compliance teams analysing the numbers. There is great pressure to avoid mistakes, and no one feels that pressure quite like the CFO who signs off on the books. By attesting to their veracity, he or she assumes a great deal of personal liability. But manual reconciliation processes used by many companies today provide no audit trail showing how the balance sheet was derived. As a result, executives must certify the data without visibility into how the numbers were achieved. And once financial leaders sign off, there isn’t an easy way to backtrack and gain visibility into the data they approved. Manual reconciliation processes used by many companies today provide no audit trail showing how the balance sheet was derived. Without an automated process, reconciling items such as payments, disbursements, commissions, and bank accounts at the transaction level is a labour-intensive and error-prone process. In addition, due to the lack of an audit trail, companies often write off unresolved exceptions because they cannot trace an error back to the source — raising the question of possible fraud. Exacerbating the problem are the large stores of disparate data that must be taken into account during the reconciliation process. Data can come from internal departments or third-parties; in the form of text files, spreadsheets or PDFs; it can involve multiple currencies; and it can refer to a payment, customer information or a myriad of other data. Different sources and different structures of data make manual reconciliation difficult. Automated reconciliation can enable companies managing high volumes of transactions to track, match and archive all incoming data, and connect that data processing directly to certification. Reducing the risk of error could save companies thousands of dollars in noncompliance fines and protect the company’s reputation among customers, peers and regulators. By bringing the full range of transaction-level and balance-level data together into a single system and automating the entire reconciliation process, from data acquisition and matching through period-end approvals and reviews, companies can form a complete account reconciliation picture. This enhances visibility into exceptions, helps eliminate manual interventions and facilitates rapid, cost-effective resolutions. Automated checks help ensure compliance with corporate and regulatory controls. Centralising data in one place and integrating automated reconciliation and certification processes allows the data to be traced to its source throughout the entire financial close lifecycle — from data ingestion through matching, exception management, reconciliation, certification and signoff. It becomes trackable and transparent. Integration of data and matching transactions using an automated process can cut the risk of error by as much as 50% (based on results from organisations that use an end-to-end reconciliation solution). Built-in audit controls can also help ensure that regulated financial standards are met. A centralised view of transactions and the overall reconciliation lifecycle also makes it easier to mitigate the risks of fraud and write-offs related to unexplained exceptions. End-to-end reconciliation automation, combined with data agnosticism, facilitates the identification and resolution of exceptions. A data-agnostic tool can pull in massive amounts of disparate data related to payment and disbursement statuses and more, and funnel it through an automated matching system to pair the right data with the right transaction. This can lead to an overall 75% reduction in write-offs (based on results from organisations that use an end-to-end reconciliation solution). By minimising the need for manual research or interventions during the reconciliation process, companies can achieve significant efficiency improvements and lower operational costs while enabling staff to perform more value-added work. Reducing manual tasks and implementing automated reconciliation can lead to a 60–80% gain in efficiency (based on results from organisations that use an automated reconciliation solution). Further, it can reduce the time it takes to close the books by two to four days. In addition to realising savings, organisations also gain greater visibility and confidence in the accuracy of financial reporting, which helps lower compliance and reputational risks. Finance teams are evolving to work as strategic partners in their organisations, helping drive tangible business results. A fully-automated and integrated end-to-end reconciliation solution can ease the pain of financial preparation while facilitating speed, accuracy and efficiency. In addition, when these teams work with tools that do some of the number-crunching for them, they can focus on tasks that provide more value for the bottom line, such as exception investigations and strategic projects such as mergers and acquisitions. 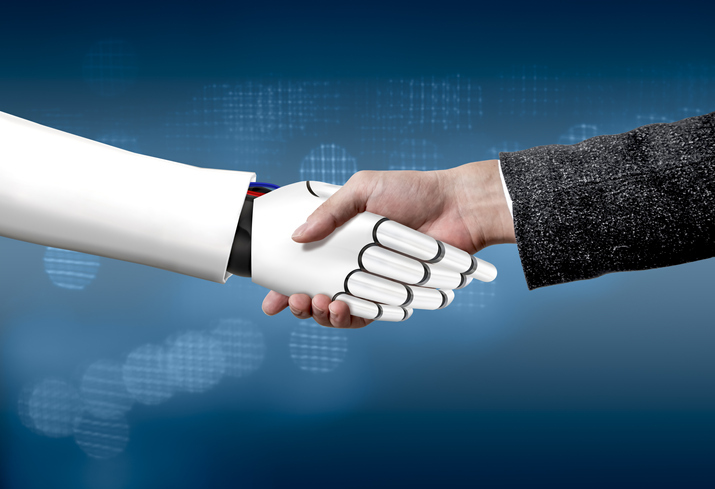 The promise of digital transformation is vast, and automated reconciliation is a solid starting point for organisations looking to tap into its potential today.